The 'Herring Girls' is a research project that will explore the stories, images, physical labour and camaraderie of women's work – women who travelled around the UK coast to gut and salt fish. Taking inspiration from The Herring Tales a book by Donald Murray, the project organisers are keen to gather and connect the history and stories of women and the fishing industry from other North Sea countries. The project aims to creatively bring about women’s stories and objects (fishing nets, salt and yarn) through new artworks such as originally composed soundscapes, light projection and costume to evoke broader themes of female interdependence, fishing migration and food cultures. This work will form part of the development stages for a dance theatre piece that will travel and adapt to different coastal places around the UK and Europe, with planned showings in late 2018/19. It will trace the stories of women who followed shoals of herring, travelling to gut and salt herring in UK fishing ports in the late 19th and early 20th centuries. The project leads, Vicci Riley and Judita Vivas have recently returned from a residency in Lithuania to support the first stages of working with themes of women, fishing and seascapes. 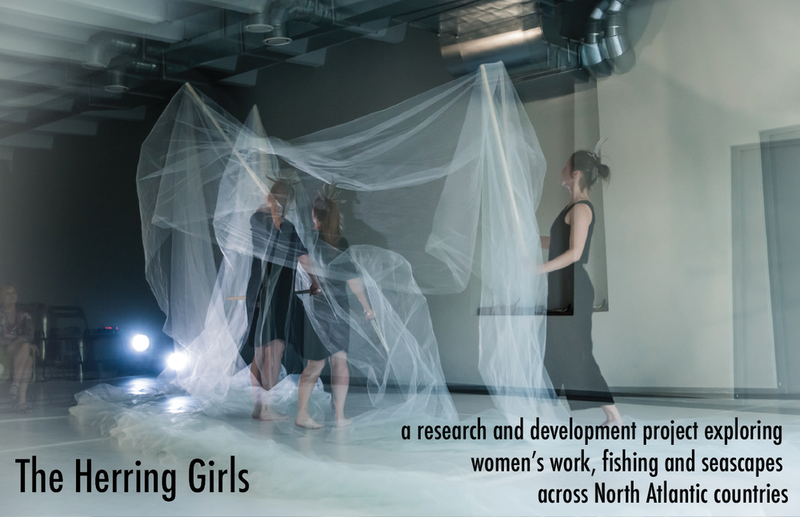 A research and development project exploring women’s work, fishing and seascapes through movement, light projections, original sound and food. The project is led by Vicci Riley (a North-West based performer, movement director and teacher in contact improvisation, somatic work, working with local communities and performance improvisation) in collaboration with Judita Vivas (performer, physical theatre artist and teacher).